World’s largest photo sharing social network Instagram has made some serious changes to the Logo and also the look of the app. Instagram said in their blog post that they took “inspiration” from the old logo and made the new one. The new Logo of Instagram has a simple camera and a rainbow colour gradient form. The Facebook owned company has also made changes to some of the other media related apps like Layout, Boomerang and Hyperlapse. 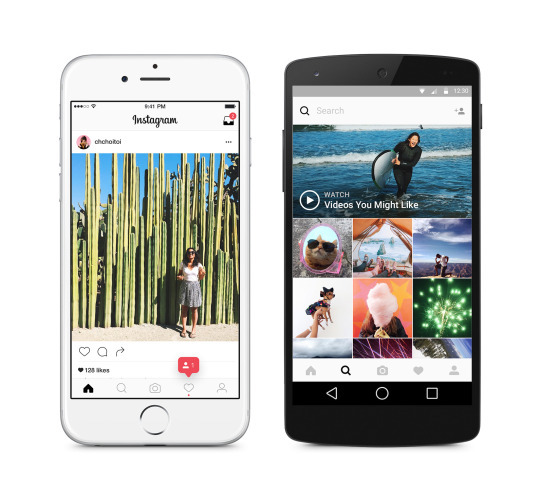 The company has also made some changes to the app also, they say “We’ve made improvements to how the Instagram app looks on the inside as well. The simpler design puts more focus on your photos and videos without changing how you navigate the app.”, in their blog post. There have been a lot of people over the internet who are asking the company to revent back to the old logo but the company says that evolved community of Instagram over the past five years from a place to share filtered photos to so much more — a global community of interests sharing more than 880 million photos and videos every day. The company feels that the logo doesn’t justify the apps utility any more and needs to be evolved over time as the community has grown. Instagram wrote in their blog post, “Thank you for giving this community its life and color. You make Instagram a place to discover the wonder in the world. Every photo and video — from the littlest things to the most epic — opens a window for people to broaden their experiences and connect in new ways”. Inbox to Replace Gmail? Myth or Truth?